If you are getting bored with Legos and want to move on to more complex projects, then you should be looking at some Arduino projects for beginners. This remarkable open-source hardware is easy to master and allows you to do almost anything you can imagine. However, there is a bit of a learning curve when working with Arduino, so it’s imperative that you start with simple projects that will help you learn various concepts as you go. If you’re still discovering what’s possible with your Arduino board, these seven Arduino projects for beginners are perfect for you. When you’re first starting out with Arduino, it’s imperative that you understand all of the elements that come with it. Usually, you’ll have a few LED lights, a breadboard (the piece with all of the holes), and a controller piece to connect it all together. You will also have to learn how to code. That can be the most challenging aspect of Arduino, so we highly recommend that you start with something easy and straightforward. This traffic light controller project is perfect because it enables you to use all of the systems provided by Arduino and learn them without getting too technical or too complicated. Simply put, once you master building this, you can move on to more complex projects that can both expand your capabilities and help you push your creative outlet. Fortunately, all of these items come with a basic Arduino setup, so you shouldn’t have to buy anything extra to get started. Any Arduino will work for this project, so don’t worry about finding the right one to begin. Learning how to code is a fundamental element of any engineering project, and this system will allow you to experience it firsthand. If you’re not sure how to get going with an Arduino board, this is the perfect way to get your feet wet. Once you’ve mastered LEDs, you want to start having fun with your Arduino system. Although there are a lot of different ways that you can make something exciting, why not build a simple and engaging video game? Pong has always been a favorite of programmers because it’s one of the easiest Arduino projects for beginners. Since it doesn’t require a lot of fancy work behind the scenes, it’s an excellent way to show off your skills and learn new ones along the way. Best of all, once you’re finished, you can play as many games as you like! This system requires a television set for you to plug your RCA cable into, so you have to make sure that they are compatible. Since most TVs have upgraded to HDMI, not all of them will have this connection. Also, feel free to add sound if you’re up to it, but it’s best to start with video and go from there. A big part of using Arduino is connecting the system to other hardware to make it more functional. This project allows you to see what you can do and give you experience that can translate into bigger and better ideas. Although you should have these devices installed in your house already, it’s always a good idea to have more, just to be safe. Building a smoke detector with an Arduino board will help you understand how these systems work and why they are so vital for home safety. Not only that, but you can also adapt it to detect and warn against other elements, such as natural gas or carbon monoxide. You can find a lot of these components on Arduino’s website, but the best thing about being open-source is that you can also locate alternatives online as necessary. If you’re not familiar with the part codes, you can look through online forums to get the information you need to get started. Another crucial aspect of Arduino is utilizing a variety of sensors and controls for your projects. This system will use a lot of different parts that can be adjusted and incorporated into a wide range of devices. Once again, you probably have a mercury thermometer or a thermostat in your home that can offer readings without having to build something from scratch. However, there is something remarkably satisfying about creating a device that can be tested so easily and deliver such profound results. Mastering this project will be an excellent stepping stone to other, more significant systems. Once again, building something like a thermometer will get you used to working with a variety of Arduino parts and components. Mastering the various sensors will allow you to incorporate them into other systems that can make a more functional device. For example, imagine hooking up a thermometer to a fan so that it will turn on once it reaches a particular heat level. You may think that building something with motion sensors would be too complicated for beginners, but the fact is that the physics behind it is relatively simple. All it takes is a specialized infrared signal to be disturbed by something blocking it, and you can do all kinds of things with the technology. Alarms are just the beginning, but you can attach motion sensors to a variety of devices and systems to make them cooler and more functional. Imagine controlling your electronics with a wave of the hand! By now, it should be apparent that things like connectors and resistors are necessary for each project. In this case, you’re adding new materials to a basic LED connection to add the motion sensing capability. Our links will dive into more detail so that you can get the hang of it faster. This is a perfect example of how simple Arduino projects can serve as a foundation for more complicated systems. That’s all that programming is – building one component on top of another. 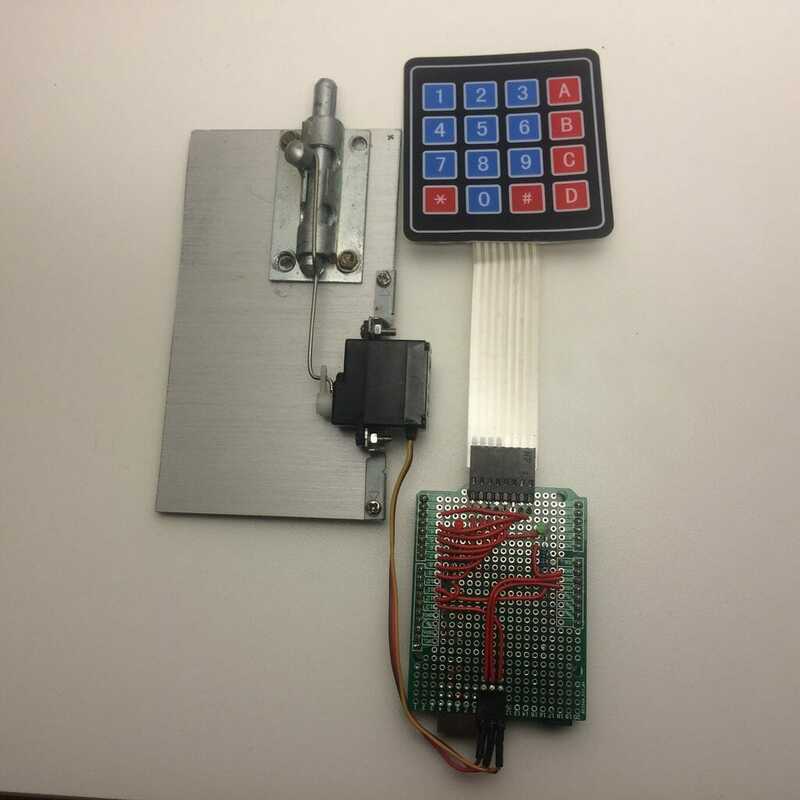 Thus, making this motion sensor alarm will show you how to do this efficiently so that you can get better at it over time. Are you tired of throwing away batteries because you don’t know whether they have any juice left? If so, then building this simple system with your Arduino will save you both time and money in the long run. Also, it will show how functional your life can be when you have engineering and technology on your side. Never waste a good battery again! As you can imagine, this device functions similarly to our traffic light above. However, the colors represent the amount of voltage left. This is another example of how you’re building on previous works and knowledge to make something bigger and more complex. First of all, making something like this is super practical. Secondly, it helps you understand the basics of Arduino without getting too technical. If you’re looking for a relatively simple project that yields excellent results, this is a perfect choice. Wouldn’t it be great if you could secure your valuables with an electronic combo lock? With Arduino, that’s now possible as long as you have the right tools and skills. Even though you’re just starting out, you can make something this cool without a lot of expertise. Best of all, you can modify the lock to secure almost anything you can imagine. Compared to the other systems on this list, building a combo lock is getting into advanced Arduino tech. We highly recommend it once you feel really comfortable with your capabilities. Once you’ve been able to make something like this, then the world is your oyster. Using Arduino and all of the pieces and components that you can connect to it, there’s no limit to the kinds of devices and projects you can create.